So...yesterday, Nicki Minaj suffered some backlash on Instagram after she shared a video of herself in a fairy outfit and a magic wand on Saturday night. In the video, while walking with her entourage in a corridor, she pointed her wand at someone in a wheelchair and said "walk" amidst laughter from everyone there with her. 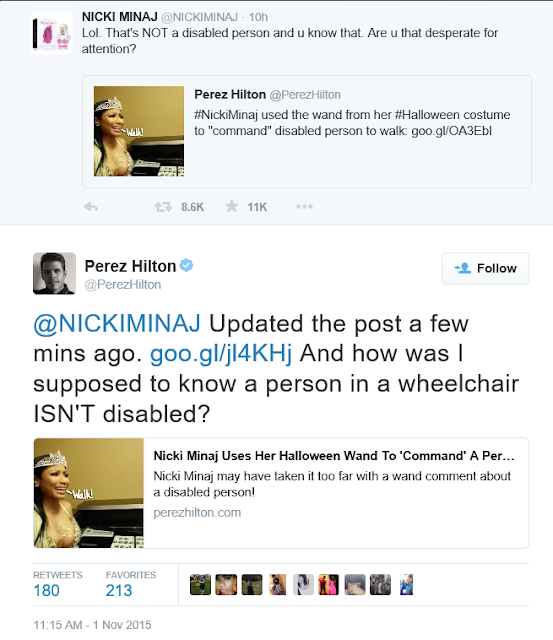 However, her fans and various media houses didn't find it funny saying that it was insensitive for her to make fun of a disabled person. 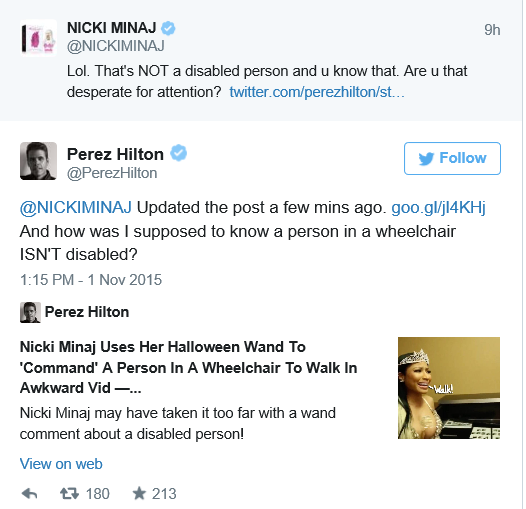 Well Nicki responded to the backlash stating that the person in the video was not disabled but her friend riding in a scooter.